The Neon A 1 Pilsner Beer Neon is a rectangular shape with rounded corners. 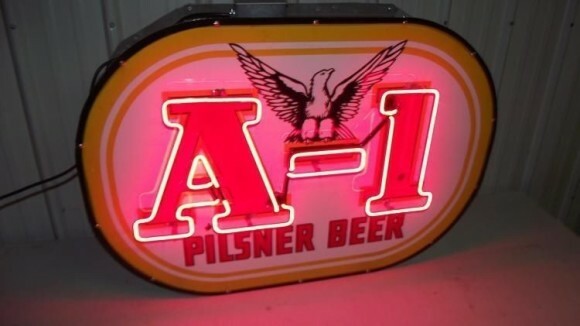 The neon follows the shape of the text that reads “A-1 Pilsner Beer.” There is an eagle that sits in between the A and the 1. The sign measures 38″ x 26″ and lights up in a red color.